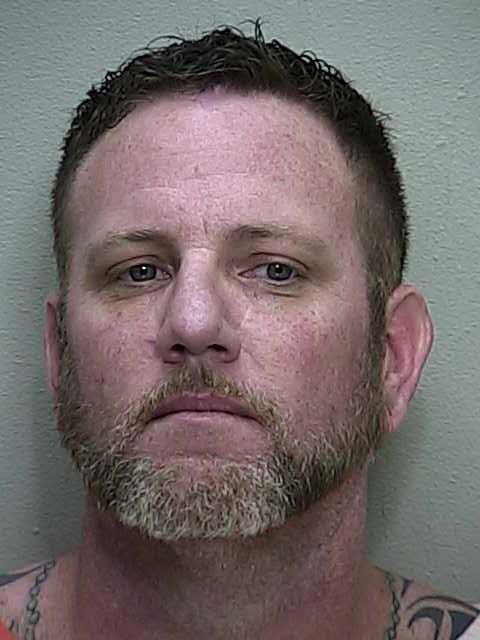 Ocala, Florida — Ocala police responded to a domestic disturbance that led to felony drug charges. On October 15, police responded to a call in reference to an altercation between a husband and wife. According to reports, when his wife went inside to grab her purse, Corrigan shoved her from behind and into the front door of the residence. She said that Corrigan then walked passed her and into the house. The woman told police that she grabbed her purse and put the strap across her body. Corrigan then grabbed the purse, and as his wife tried to remove the strap, it caught her neck. Police said Corrigan then grabbed his wife by both of her arms and shoved her against a wall. According to the arrest affidavit, Corrigan then left the house with another female. While speaking with the wife at the scene, police said they could smell fresh burnt marijuana. When asked about it, she stated that her husband had been smoking marijuana just prior to the argument. Additionally, she told police that Corrigan had a safe in the bedroom which contained drugs. OPD then contacted the Unified Drug Enforcement Strike Team. According to reports, she told police that Corrigan kept the key on his person at all times and that, he was the only person allowed to open the safe. Oddly enough, his wife was able to describe all of the contents contained within the safe. She said that there should have been a quarter pound of marijuana and various pills that were already packaged to be sold. She then gave agents permission to remove the safe. Corrigan was arrested on October 16, and charged with Misdemeanor Domestic Battery. He was released on a $500 bond. On October 17, agents obtained a warrant to search the safe. Upon opening the safe, agents discovered individually packaged marijuana, 14 Oxycodone pills, 31 Xanax, 37 Methylphenidate (Ritalin), valid prescriptions, and a written prescription form. Agents then obtained a warrant for Corrigan’s arrest. On October 31, Corrigan was arrested and charged with Possession of Marijuana with Intent to Sell, Possession of Xanax, Possession of Oxycodone, and Possession of Methylphenidate. He was released on a $11,000 bond. According to an unnamed source, Corrigan has a bad temper and once broke a cat’s neck because it had scratched him. Ocala Post did not find any arrests involving animal abuse. Corrigan’s wife was not charged.